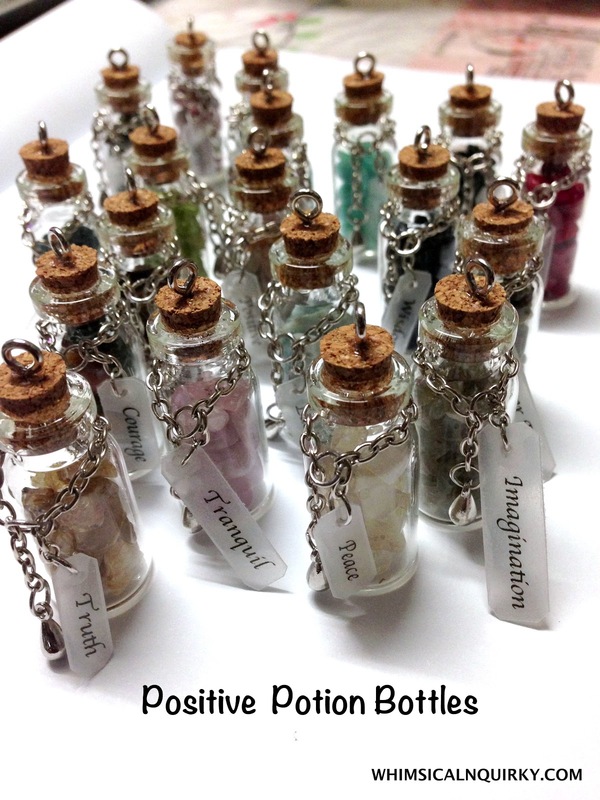 These bottles are filled with various gemstones chips. Each bottles are labeled with one positive attribute of the stone for different stones gives different energy vibration. Each bottles comes with 16 inch chain, a card with description of the stone.